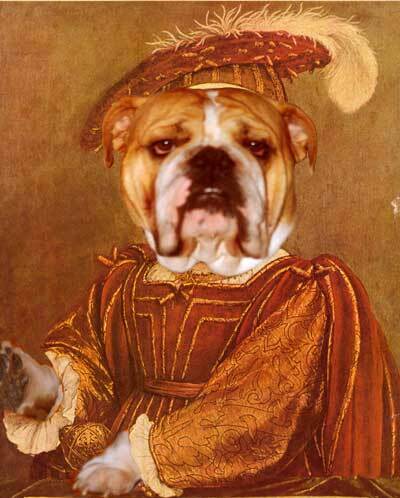 Reincarnated Bullies allows you to have your English Bulldog's head reattached to his/her body from a previous life. I have an uncanny ability to look into your bullies eyes, know his soul and see who he was in his previous life. By knowing your Bullies past karma, you will be able to guide him along the bullie path to reach nirvana. English Bulldogs, more than any other breed, will exhibit tendencies inherited from their previous life. A good owner will recognize these traits and encourage their pup to recall his past life. There is a minimal charge for this service. Send me your Bullie pic. I have experience reuniting present life heads and previous existences for many years. Email me for the details.